Wolverhampton Wanderers versus Arsenal is a special match for the home team. After a 6 years absence, they are happy to play in the Premier League this season. Players and fans live for playing matches on the highest level. The match against Arsenal is one of those matches. Arsenal is one of the teams in the top 6 of the Premier League and we still have Wolverhampton Wanderers v Arsenal tickets available for this match. Fans of both clubs can attend this match with the tickets we sell. 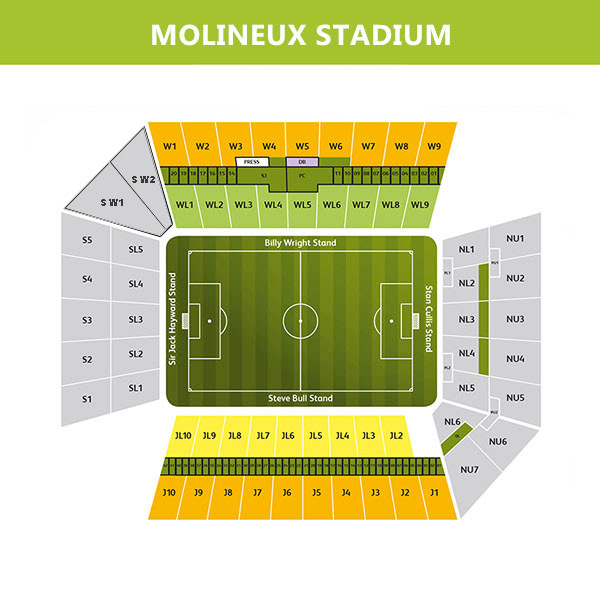 Scroll through our ticket inventory on top of this page and search for the tickets in the right section of the stadium.